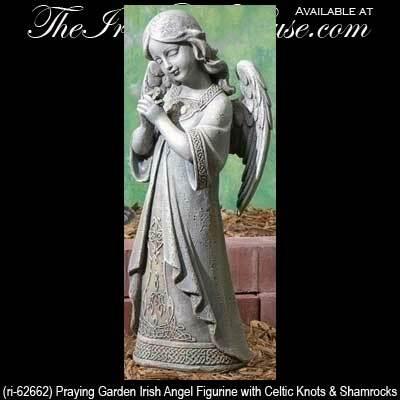 This Irish angel for your garden is featured with her hands folded in contemplative prayer. 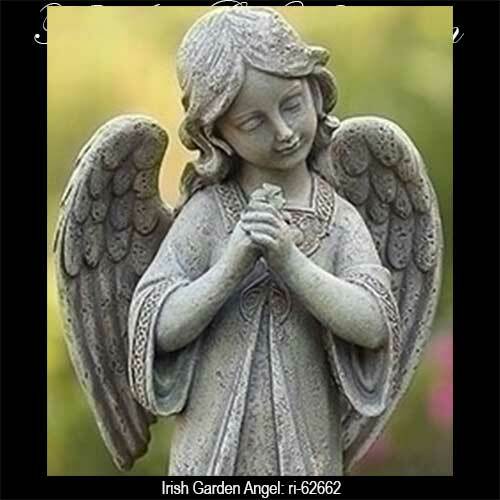 This Irish angel statue will watch over your garden while she continues her meditative prayer. 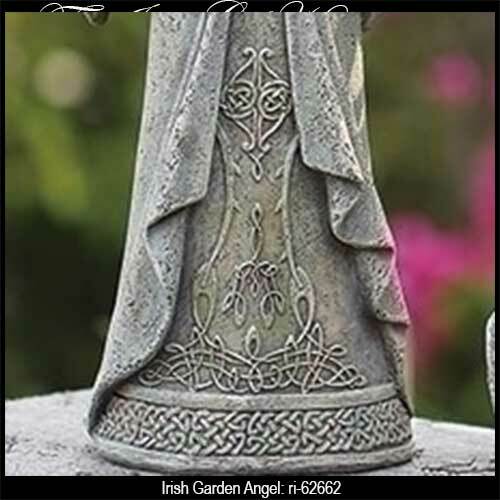 The Irish garden angel features a dimensional design that includes a bouquet of shamrocks in her hands along with Celtic knot-work on her gown. 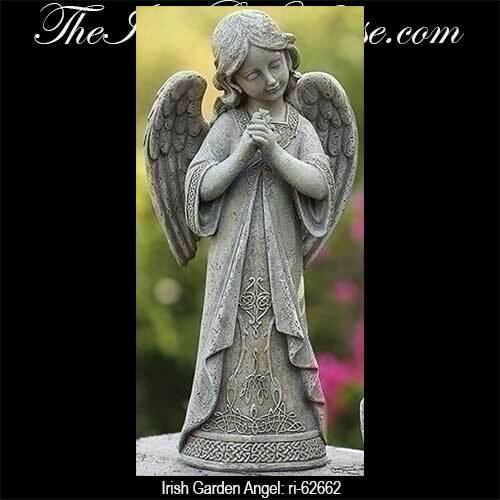 The Celtic angel is made of a cement and resin mix and measures 8" wide x 15 3/4" tall x 5 1/2" deep.